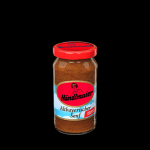 A real nice flavorful mild ( mittelscharf) mustard from Lowensenf. Can be used on almost everything! Available in 2 sizes. 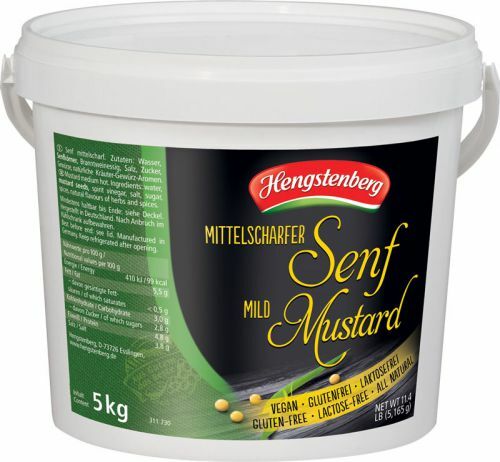 Lowensenf Mustards is a highly recognized Mustard to use on your Weisswurst and also great on any other sausages. This is the original hot Düsseldorfer, in a ltube. 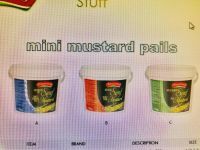 This is one of the most popular mustards. The tube is a really nice package. Easier to use. A Great deal !!!!!!!!!!! Buy in bulk if you are a restaurant or having a big party!! These are apporx. 11lb buckets. This is a real good medium hot mustard. This comes in the big 200ml tube.